Social media is most often used by people and companies to promote their products and present themselves and their brand, in the best light. But did you know that 92% of recruiters also use social media in their recruitment efforts? And not just for advertising a position either. With millennials fast forming the backbone of the US workforce and Generation Z (the moniker for the generation following millennials) hot on their heels, keen to establish themselves in their chosen industry, targeting these two groups should be the focus of all recruiters. A large part of these people’s lives play out on social media, not just their social lives, but all aspects, including looking for new job opportunities. And that is where you should be looking to direct your recruiting efforts, to social media. If you don’t have your action plan sorted out yet, don’t worry, we can help you out with our 9 tips on social media recruiting strategies. Building your company’s online reputation. Using video to engage with passive candidates. Involving employees in sharing posts on social media. Being active on other social media – it is not only about Linkedin. Social media advertising – using insights to perfect your campaign. Keeping potential candidates engaged – building a community. But first, what does social media recruiting entail? Social media recruiting is the means by which candidates are recruited using social media platforms as talent databases, or for advertising openings and positions. Social media recruitment can be advertising jobs either through HR vendors or through crowdsourcing, where job seekers share potential job openings within their personal, online social networks. It is the practice of identifying, attracting, engaging and hiring both active and passive candidates, by using the social networks they’re on. Recruiters can check out potential candidates’ social media profiles to get a sense of who they are and what they’re looking for. Recruiters use various channels in their social media recruiting strategies, including LinkedIn, Facebook, Twitter, Glassdoor, YouTube, Google+, Instagram, and Snapchat. How is social media recruiting different to other types of recruitment? Social media recruiting differs from other types of recruiting (such as online recruitment, direct recruitment, internal recruitment, external recruitment, global recruitment, employee referrals, and mobile recruitment) because it allows the recruiter to connect directly with both active and passive job seekers. You can find key candidates by engaging with them through shared passions, ideals or networks, something you can’t do with the other recruitment methods. How effective is social media recruiting? It can be a little tricky to determine the effectiveness of a social media recruitment strategy and return on investment. 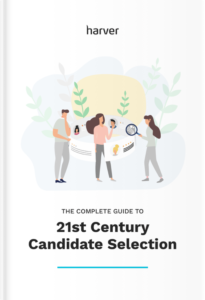 It is largely because the vast majority of candidates do not apply for the role that’s attracted them through the social channels that they discovered it on. However, don’t let that put you off. If social media recruitment works for 92% of recruiters, there’s got to be something in it, right? So, let’s look at the ways in which you can best use social media to find your next great hire. Some of these strategies are designed to target passive candidates, those people who aren’t necessarily looking for a new job but could be persuaded to jump ship if the right opportunity presented itself. Some of these strategies are targeting active candidates, those people who are actively seeking new horizons. You can implement one or all of the following social media recruiting strategies, you are limited solely by your imagination and your budget. 1. Build your company’s online reputation. Build your brand up and be the company that everyone knows about and wants to work for. Become the authority in your specific field. Don’t just target customers with your branding. If they’re already invested in you, they could be the people you need to help your company grow, from the inside. Millennials are looking to establish an emotional connection with the right company, so give them something to be passionate about. Share content that shows your company in a great light, that it’s a great place to work – organically attract candidates. Think about those companies that consistently get talked about, the ones with the unique working environments, the great employee benefits – can you become one of those? Above all, be consistent. Have one voice, keep your messaging on track and be open about your values, ethics, and beliefs. The recruitment video SodaStream focuses on their environmental friendliness, diversity and entrepreneurship. 2. Use video to engage with passive candidates. Once you’ve established your presence on your chosen social media channels, you want to take your relationship to the next level, you have to engage with them. And one of the most effective forms of engagement is video. Video is the medium that social media users are 10 times more likely to engage with than any other form of content. It is the type of content that 52% of marketing professionals around the world agree provides the greatest return on investment. This could be due to the human brain being able to process visual information 60,000 times faster than text, or it could be that you can convey so much more than just a simple message in a video, thanks to the mix of non-verbal messaging, body language, verbal tone and visual clues that it will incorporate too. Whatever it is, harness video’s appeal to target passive candidates and other professionals in your industry. • Use live video to host spontaneous Q&As. • Let people have a snoop inside the company and experience the company culture for themselves. People love behind the scenes footage, so give them what they want. 3. Involve employees in sharing posts on social media. The point of social media is to extend your reach. Lean on your existing employee network to get the word out. Ask your employees to get involved in the recruitment drive, have them share your posts on their social media platforms. The power of a personal recommendation should never be underestimated, from either those looking to recruit or those looking for recruitment. Furthermore, social media shares are among the most efficient sources of hires. Just ensure you have a corporate social media policy in place and that all employees are aware of it and what is expected of them. They will be your brand ambassadors after all, and you don’t want them to accidentally damage your brand’s reputation. An estimated 87% of recruiters currently use LinkedIn to source talent (55% use Facebook and 47% use Twitter). Don’t just optimize your company’s LinkedIn profile to show you’re actively recruiting (although obviously do this), but join and participate in LinkedIn groups too, relevant to your industry. There is a wealth of specialized communities on LinkedIn, places where candidates are actively involved, trying to position themselves in their field, seek them out. For example, if you’re hiring sales people, you can join The Sales Association group for sales and business development professionals. It’s all about the power of networking, and in these groups, you can easily identify the top talent and key influencers. Knowing who these people are will make your life much easier when it comes to attracting the right professionals. 5. But it is not only about Linkedin. It is also worth mentioning that you should try different strategies depending on the different social media platform you are using: one size does not fit all, and what might work for Twitter won’t necessarily translate to LinkedIn or Facebook. All of these social platforms have been designed to appeal to different audiences, to be used differently, so take advantage of that and be creative in your approach. Figure out which profile gets the most engagement and run with that. And don’t just stick with the big three either (Facebook, LinkedIn and Twitter), create profiles on Snapchat, Instagram & YouTube. Starbucks builds its employer brand on Instagram, engaging a wide audience via social media posts. Moreover, think of the niche networks where your dream candidates could be hanging out. • Developers like to share knowledge on GitHub and StackOverflow. • Marketers can be found on Moz and Warrior Forum. • And if you’re after a great leader, have a browse of Quora for an answer they may have supplied. If you’re sharing content, be it your own or curated content, ensure that what you share isn’t viewed as spam. Know what questions your audience is asking and give them the answers. Keep them engaged. Social media doesn’t work if you don’t have something that others want to share – that’s kind of the point of being social. Your content has to be entertaining, useful or interesting. Essentially anything that isn’t simply a statement of fact or length of a dreary text. If you want your content to go viral, give people something worth sharing. LEGO has showed how their LEGO Technic works in real life by building a drivable Bugatti. The video has generated over 2.2 million views as of October 2018. 7. Social media advertising – use insights to perfect your campaign. Social media advertising works so well because of your ability to target who sees the advert. Unlike traditional advertising where you are playing a numbers game and hoping that out of the millions of people who view the advert, you might find your ruby in the rubble, social media advertising targets your dream candidates because you define your search parameters. But to truly add power to your social media recruiting strategy you want to use the insight tools available to you to perfect your advertising campaign, so be sure to include measurable KPIs when you create your advert. 8. Keep potential candidates engaged – build a community. As mentioned before, don’t just spam your audience with subpar content, give them something to engage with and build a community of like-minded people. Don’t throw information at them and create a one-way street, start the conversation, and carry it on. Direct message people, approach people in your network who could potentially become part of your talent cloud. Talk to them about the company, about the benefits and potential opportunities of working there. Be proactive and go to your audience, don’t wait for them to come to you. Amazon is building their Talent Community on social media, updating their potential employees on what is going on in the company and the industry. Take time to understand the power of the humble hashtag. It is so easy to put a # in front of a word or a sentence and expect it to work its magic – it’s not that simple. Know the reach of your hashtags, how many people use it, the geography, the demographic – if your hashtag isn’t targeting your key audience, it is redundant, lose it. On the flip side, if it is too popular you run the risk of your message getting lost in the tidal wave of messages also using it. Try and be inventive with your hashtags, personalize your hashtags to you, your company and what you want to achieve with them. Social media recruiting will take time, Rome was not built in a day and nor will your online presence be built overnight. However, almost half of recruiters utilizing social media recruiting strategies report improvement in both the quantity and quality of candidates. That’s why it can be worthwhile to put time and energy into implementing these strategies. Don’t forget, your social media recruiting strategy should be well thought out, planned beforehand and documented to include your target audience, where they spend time online, guidelines for establishing relationships and which social channels to be used. Fail to plan and you will plan to fail. • You could reach the elusive passive candidates. • You can see someone’s credentials first hand, without needing their resume. • By sharing your company culture online you could find a great culture fit, and that can be just as important as competency. • Ultimately you can save money in your recruiting drive because the majority of these social media recruiting strategies cost next to nothing (if anything), all you have to invest is your time.